My sons don’t play hockey, and I have Canadian Dad guilt about that often, but they don’t want to play, so they don’t play. 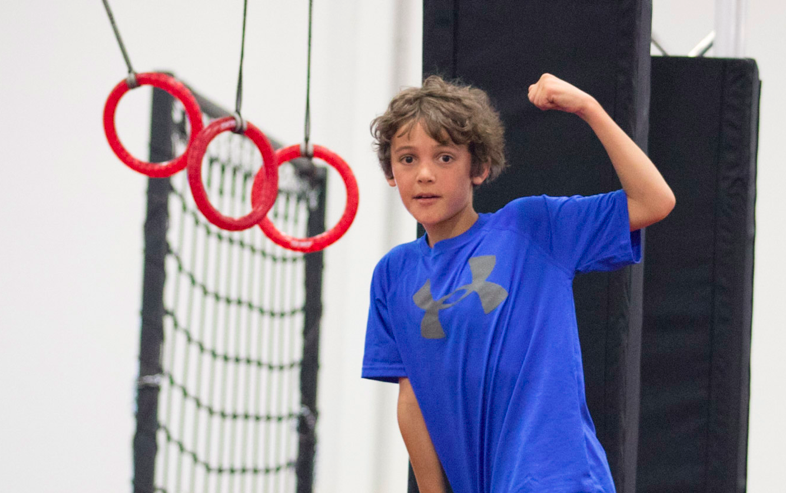 I ask them each summer if I should register them in the fall. 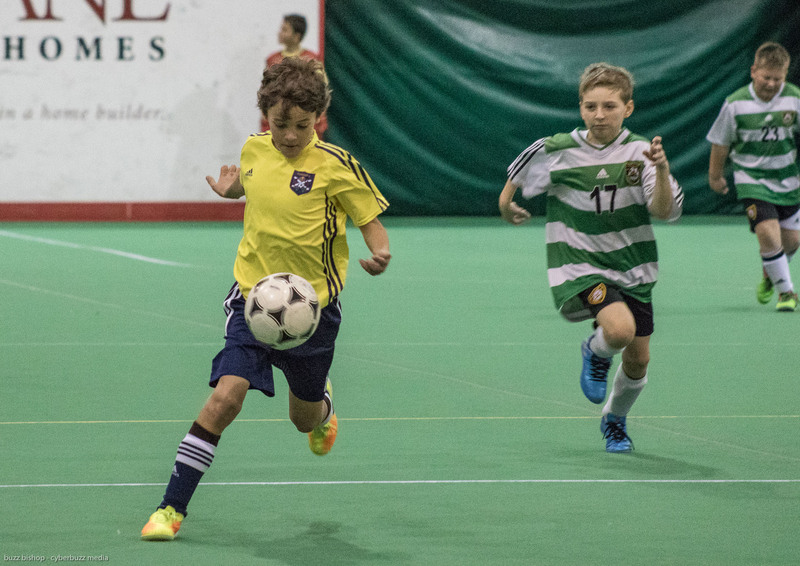 They say no, we move on and take swimming lessons, art classes, indoor soccer, and play road hockey instead. 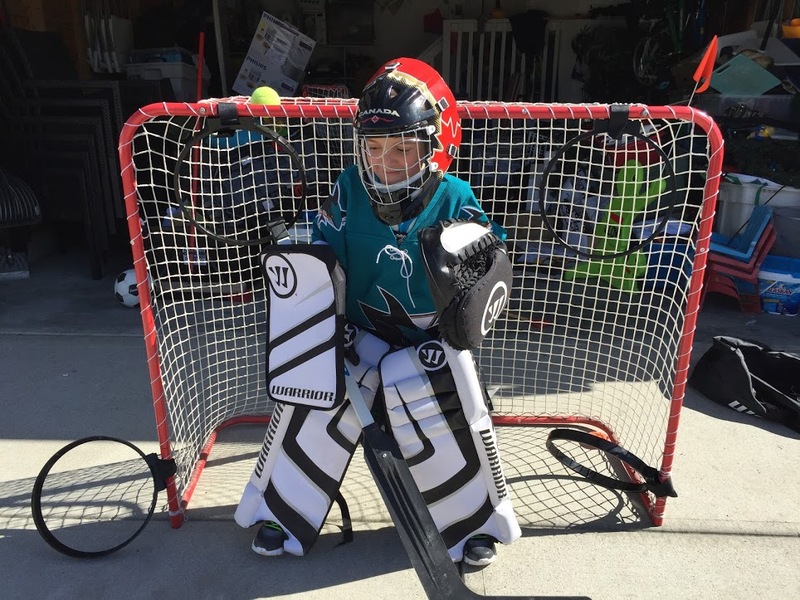 Would I love to see my kids play hockey like I did? Sure, but it’s such a serious religion in a place like Calgary (Hockey Canada has its headquarters here), that I can’t imagine what our life would be like with 5 nights a week of games and practices along with pressure to do out-of-town tournaments and summer camps. My boys don’t play hockey, and I’m okay with it. 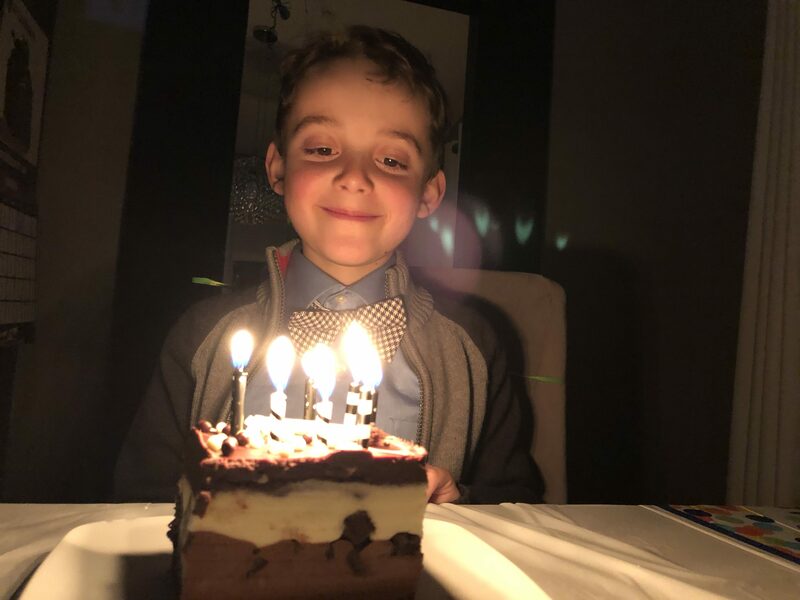 That said, for a non-hockey playing kid, Zacharie has had some pretty wicked luck since we moved to Calgary. 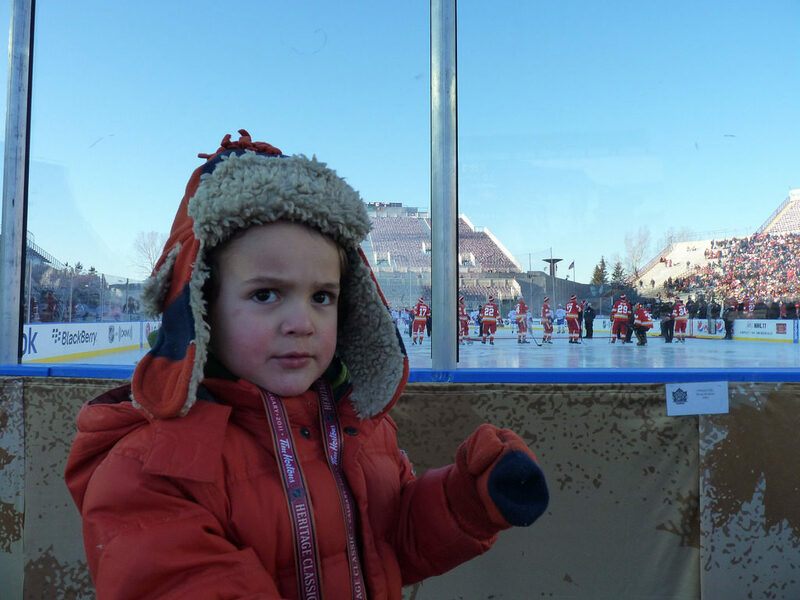 First up we got to go up close at an outdoor game as Calgary and Montreal alumni faced off in the Heritage Classic. Then he was invited to ride the Zamboni before a Calgary Hitmen Game. 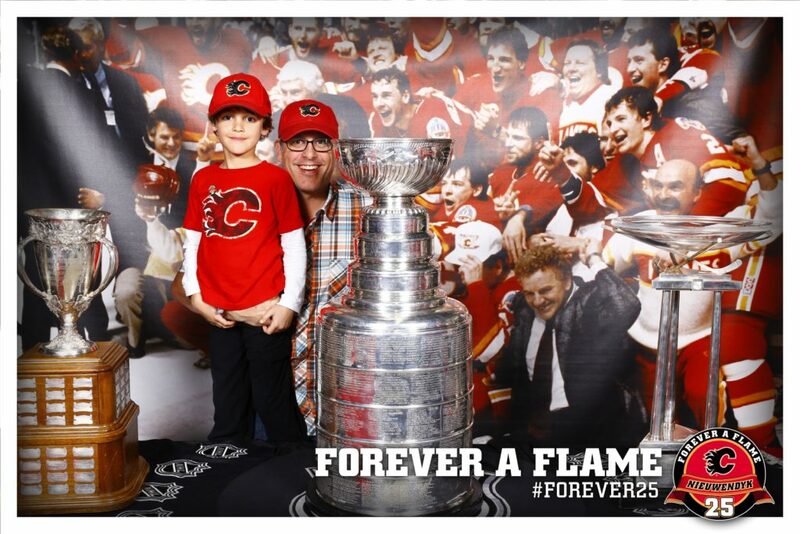 Then he got to touch the Stanley Cup (I told him not to, that he would jinx it for the family, but he touched it anyway). 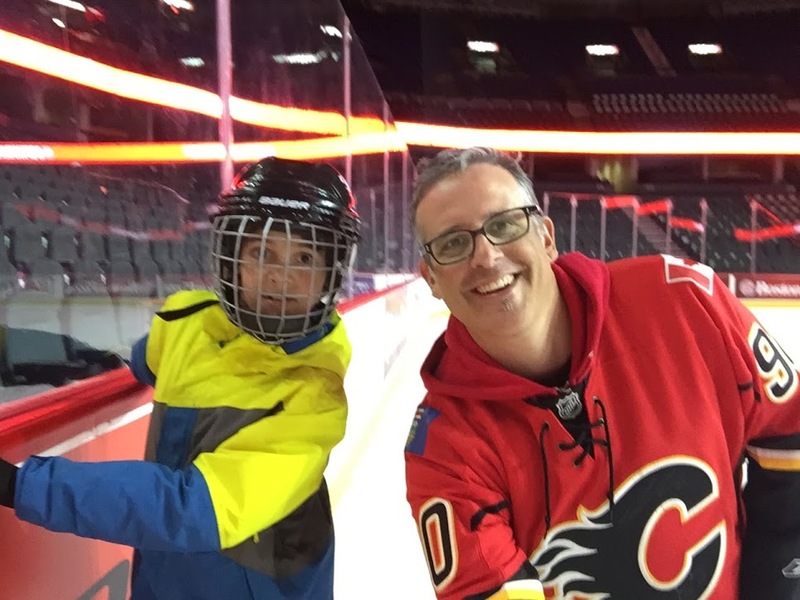 Then he got to skate on the Saddledome ice. 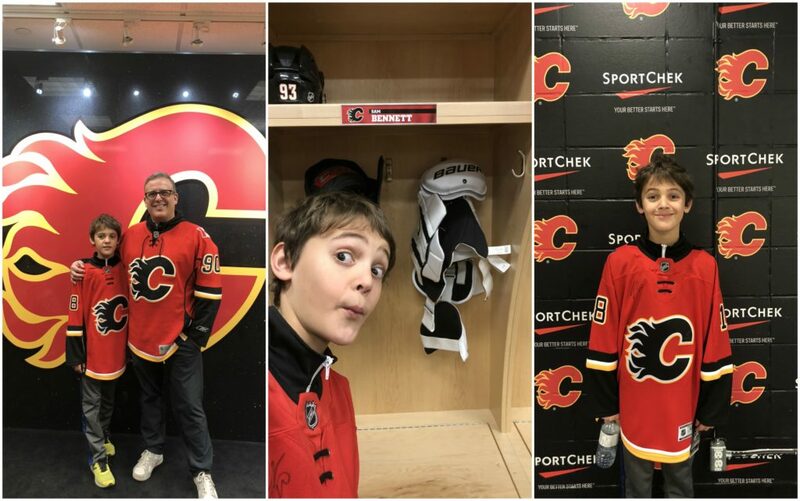 Finally, to top it all off, just this year Zacharie signed a one day contract with the Calgary Flames, getting his own jersey and a tour of the Flames dressing room. Boston Pizza invited us to take part in those last two events as part of their Flame For A Day program. 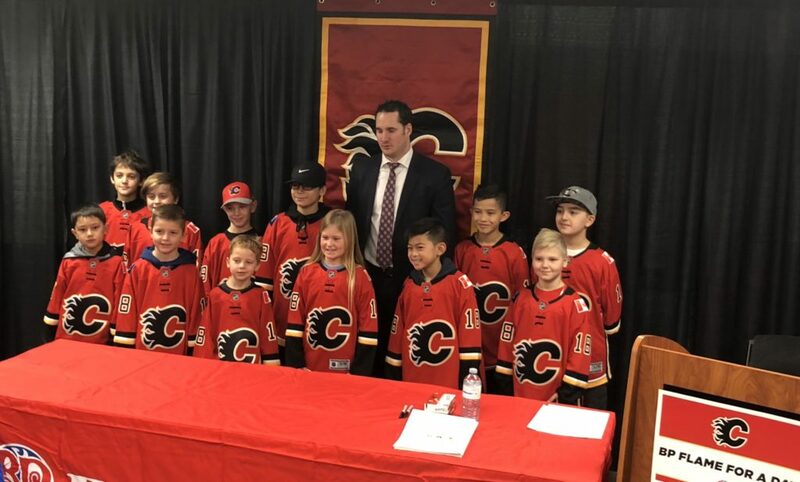 Kids and families can enter throughout the fall with the purchase of a kid’s meal, and then a few dozen are chosen to come and get their own stall in the dressing room, sign a contract, and take a spin on the ice. 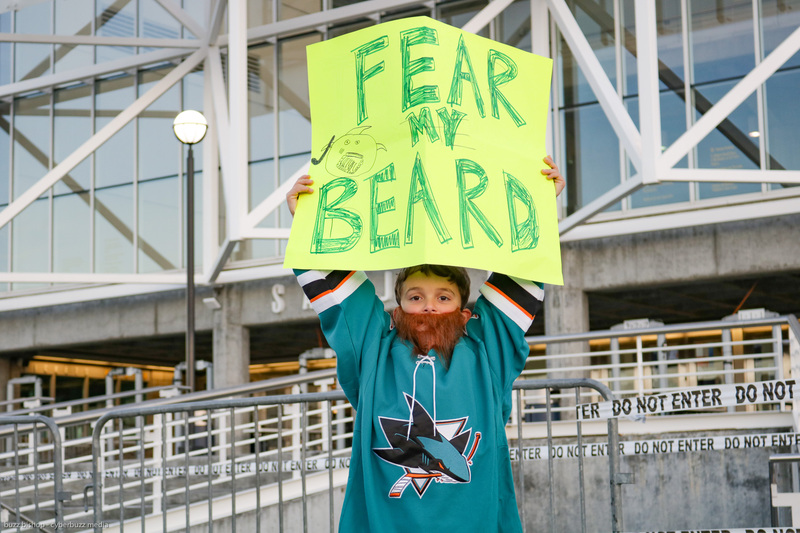 It’s an epic experience that I will never soon forget, you don’t have to play hockey to be a fan. Thanks to Boston Pizza for the invite to the Flame For A Day event. 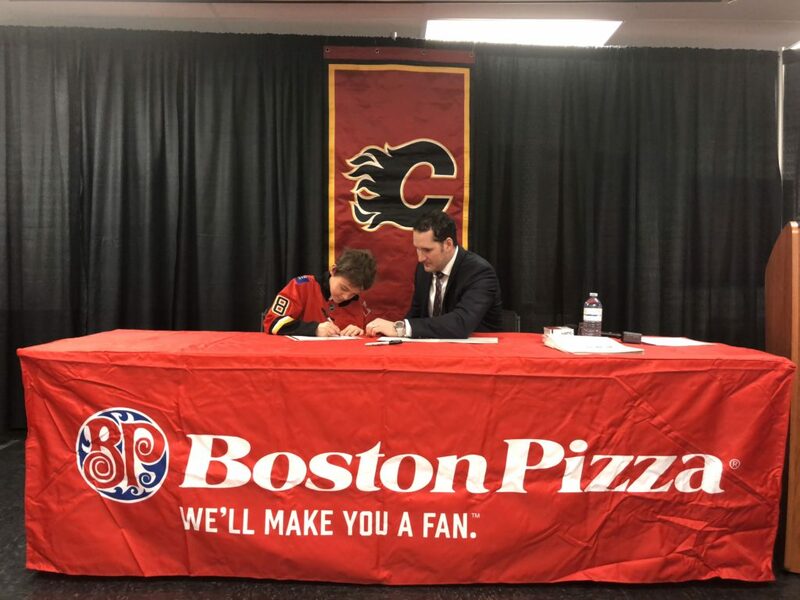 Boston Pizza is an official partner of the Calgary Flames.